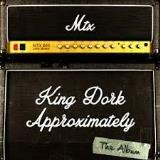 Mr. T Experience (MTX) returns with their long-awaited album, King Dork Approximately-a twelve-song concept album based on singer Frank Portmans bestselling series of young adult novels. Originally released as a unique digital "balbum," (book/album) this album is finally given proper treatment on LP and CD. The album is crammed with carefully crafted songs about girls, love, angst and awkwardness-themes that have resonated with fans new and old for 30 years-a soundtrack to the inside joke that is your life. Featuring standout singles, "Cinthya (with a Y)," "King Dork Approximately," and "High School is the Penalty for Transgressions, Yet to Be Specified." 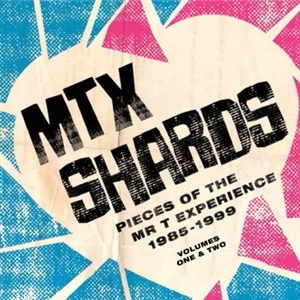 MR. T EXPERIENCE, Shards Vol 1. is the first of a two-volume collection of rarities, live tracks and outtakes--versions of songs previously scattered on any numerous of B-sides, and compilations. Shards Vol 1. is the first-time that these tracks have been assembled in a complete format--a must for fans and collectors of MR. T EXPERIENCES catalog of songs. "MR. T EXPERIENCE, Shards is a two-volume collection of rarities, live tracks and outtakes--versions of songs previously scattered on any numerous of B-sides, and compilations finallyassembled in two-disc double CD. Shards is the first-time that these tracks have been assembledin a complete format--a must for fans and collectors of MR. T EXPERIENCES catalog of songs. Forthis edition, all of the songs have been carefully remastered by Dave Eck at Lucky Mastering toachieve the best possible sound from a broad-range of source material. The result is the highestfidelity without losing the charm of the original recordings." 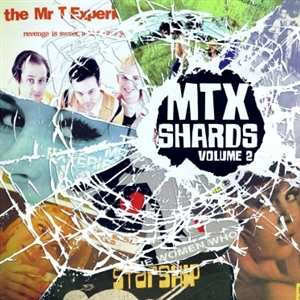 "MR. T EXPERIENCE, Shards Vol 2. is the second of a two-volume collection of rarities, livetracks and outtakes--versions of songs previously scattered on any numerous of B-sides, andcompilations. Shards Vol 2. is the first-time that these tracks have been assembled in a completeformat--a must for fans and collectors of MR. T EXPERIENCES catalog of songs."